The congested Sunset Strip that runs from Doheny to Crescent Heights is filled with clubs, boutiques and many restaurants that have been standing there for years. As a local Los Angeleno, the Sunset Strip was not my favorite street to go out to eat until Eveleigh and then the Churck Key opened. 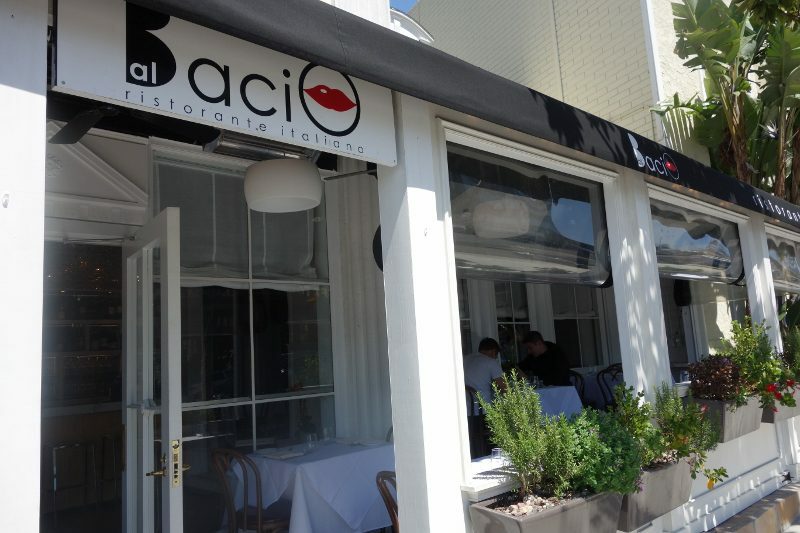 And now, across the street in the shadows of these two popular restaurants is a modern Italian restaurant, Al Bacio. 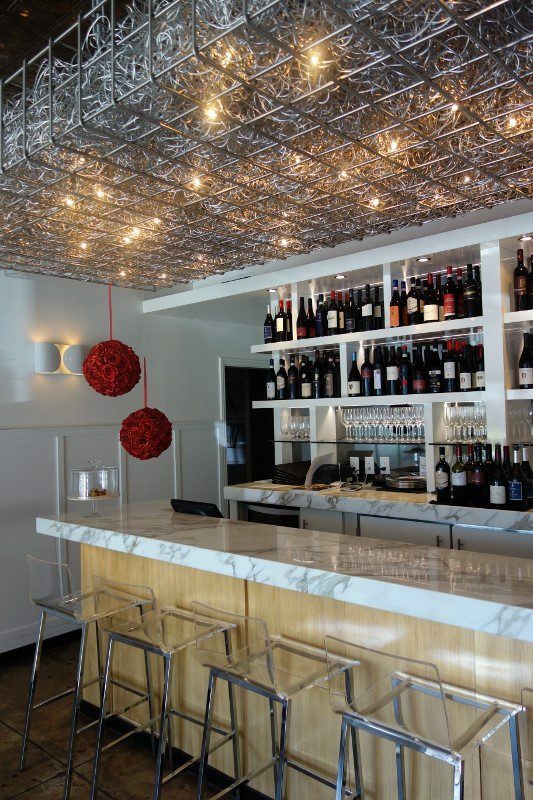 Located in the former Il Sole space, Al Bacio is named after that gesture of approval where you kiss your fingers after tasting something wonderful. Open since December 2013, the restaurant has a fresh elegance to it and reminded me of some of the more modern restaurants I have dined at in Italy lately. We stopped in for lunch the other day where General Manager Kevin Lepisto, who has worked at this location since it was the former Il Sole, greeted us at the door. We were also greeted by Chef Christian Simionato, who is originally from the Veneto region and opened Al Baio after working in Italy, London, Beijing and most recently as the chef at The Resort at Pelican Hill’s Andrea Ristorante. 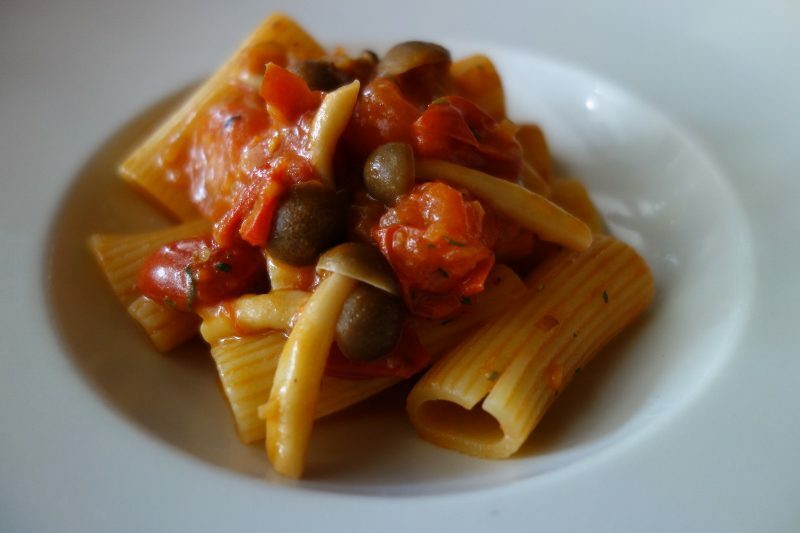 Rigatoni with Tomatoes and Pioppino Mushrooms – Chef Simionato had just returned from San Francisco where he had purchased the pioppino mushrooms and created this pasta dish special. 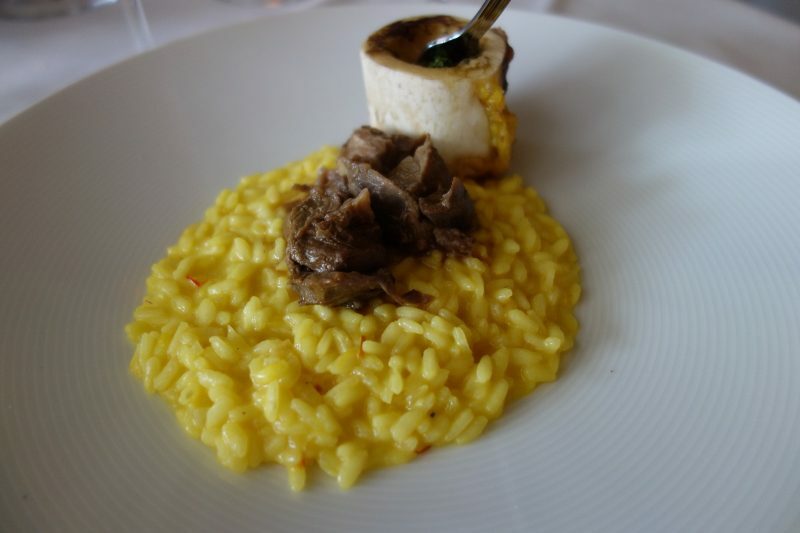 Acquerello Risotto Invecchiato 1 anno Allo Zafferano con Ossobuco di Vitello alla Milanese (1 year aged Acquerello Safforn Risotto, Veal Milanese Ossobuco) – Ossobuco typically comes from the first 5 inches above the ankle but can come from anywhere up to the knee. Chef Simionato uses the higher part of the ossobuco resulting in a smaller bone but the same tender meat. Al Bacio is open for lunch and dinner. And, if you are in a rush, you can have the Complete Lunch served in 12 minutes for $12. That’s quite a deal! 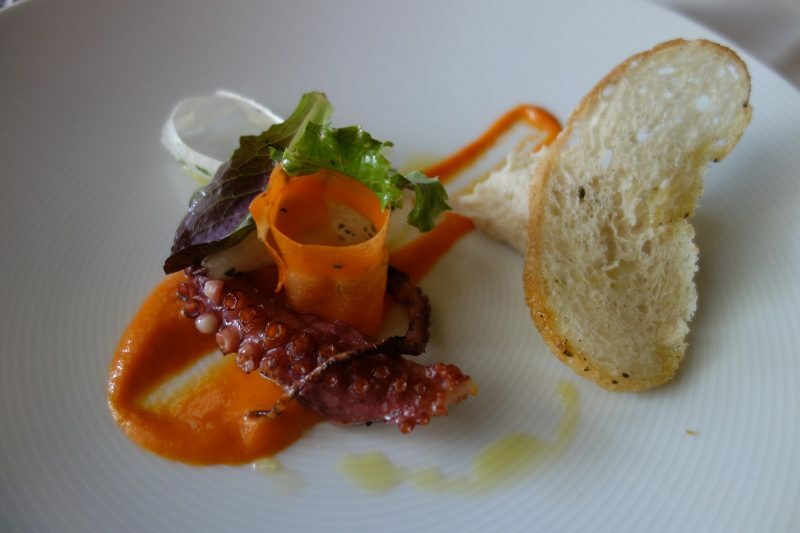 Check out the Al Bacio website for a list of upcoming cooking classes and wine dinners. 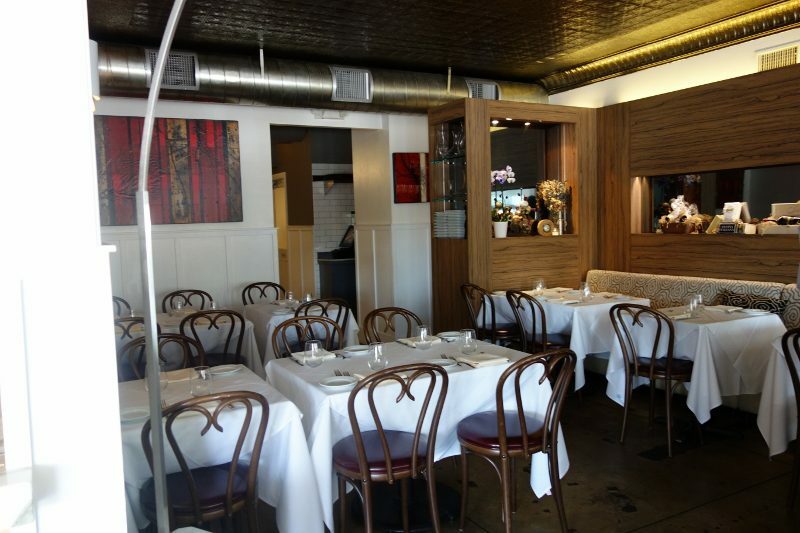 This entry was posted in Food and tagged Al Bacio, Chef Christian Simionato, italian food, Los Angeles, restaurant, Sunset Strip by Allison Levine.